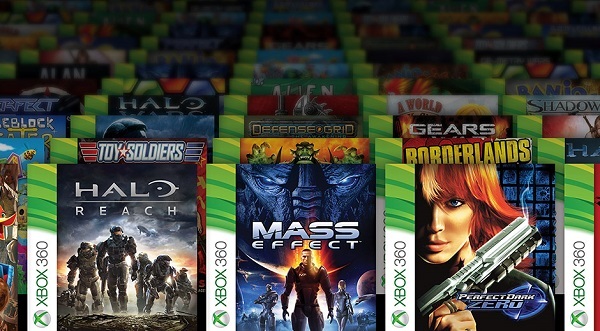 Gamescom 2015: Xbox One backward compatibility coming in November with over 100 Xbox 360 titles. Today, onstage at the Xbox gamescom 2015 briefing, Microsoft shared more of their vision for Xbox One Backward Compatibility. Xbox One Backward Compatibility is all about giving you the ability to play the games you love and own for Xbox 360 on your Xbox One at no additional cost. Beginning this November, for free, you'll be able to play over 100 Xbox 360 titles on your Xbox One, with hundreds more on the way. The Xbox One is the only next-gen console to offer backward compatibility, and allows you to utilize some of your favorite next-gen features like Game DVR, Snap, screenshots and more. You can even keep all your previously-saved files, game add-ons, achievements and play with friends on Xbox Live no matter which Xbox console they're on. Microsoft also announce their plan to make all future Xbox 360 Games with Gold titles playable on Xbox One starting when backward compatibility launches in November. This will mean that all Xbox Live Gold members get even more free games to play each month. In addition to first-party support from franchises like Halo, Fable, and others, leading third-party publishers including Electronic Arts, Bethesda, Ubisoft, 2K and more (see the full list below and note that publisher participation is subject to change) have announced their participation in the program, with more details on titles to follow. Support for Backward Compatibility is also unlocking new value for Xbox fans. For example, gamers who purchase Ubisoft's Rainbow Six Siege on Xbox One will exclusively receive both Rainbow Six Vegas and Rainbow Six Vegas 2, playable via Xbox One Backward Compatibility. Bethesda is offering Fallout 4 fans even more opportunities to explore their post-apocalyptic open-world, as anyone who purchases the game for Xbox One will exclusively receive Fallout 3. Or, if causing mayhem on a massive scale is more your speed, you'll be happy to hear that you'll exclusively receive Just Cause 2 for purchasing Just Cause 3 on Xbox One. This follows that anyone purchasing Gears of War: Ultimate Edition by December 31, 2015 would receive Gears of War, Gears of War 2, Gears of War 3, and Gears of War: Judgment via Xbox One Backward Compatibility. Speaking of Gears of War, Microsoft also announce that the original Gears of War is available now in back compat for preview members and that all Gears of War titles will be supported when it launches publicly this fall. This means if you own Gears of War, Gears of War 2, Gears of War 3 or Gears of War: Judgment on Xbox 360, you’ll be able play it on your Xbox One soon. Microsoft also bringing another popular Xbox 360 title to back compat; the Metroidvania-style action-platformer Shadow Complex. Now you can explore a sprawling underground bunker as Jason Flemming, navigating treacherous environments, engaging in fast-paced combat, and taking down massive bosses on your Xbox One like you did on Xbox 360. With Xbox One Backward Compatibility, Microsoft committed to giving you more out of the investment you've made in your game collection and will introduce over 100 games this fall, with hundreds more to come. List of publishers supporting Xbox One Backward Compatibility: 2K, Bandai Namco Games, Bethesda, Capcom, Codemasters, Deep Silver, Disney Interactive, Electronic Arts, Koei Tecmo Games, Majesco, Sega, Square Enix, Ubisoft and Warner Bros.